Action-packed comedy full of LARPing, dancing, fighting, monsters, wizards and puppets galore! A CSIS Agent must enlist the help of a mentally-unstable, "musical genius" to find a group of missing film students. 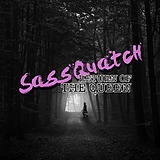 Come hang out and play Just Dance with the crew of Sassquatch: Return of the Queen, John Goes to the Olympics and Sweetblood!! Dear Sassquatch team.You rule. Bummed you guys didnt make it forward. If yas ever want grip and lighting support in future projects don't hesitate to ask. Be a great winter shoot. I thought your project had the means to proceed to the Top 15. It had a different edge to it. I wish you luck in your future projects. It will take sometime to move forward. Spending months on something in one direction and then the path ends. Well, that was unexpected. Totally had you in the top 15. But keep the work going! This project has tons (TONS!) of potential. Yeah, we thought so too. Thanks man. F#kin bummer. Thought you guys were a shoe in. Hang in there. Great video Tyler Boyco. I can't wait to see this film. I also want to see it on Broadway so make that happen as well Tyler Boyco. Good work on getting runner-up this week. Hope to see you in the top 15!